The MTA has released new photos of construction on the 7 line extension in midtown Manhattan, which is nearing the end of the heavy construction phase. 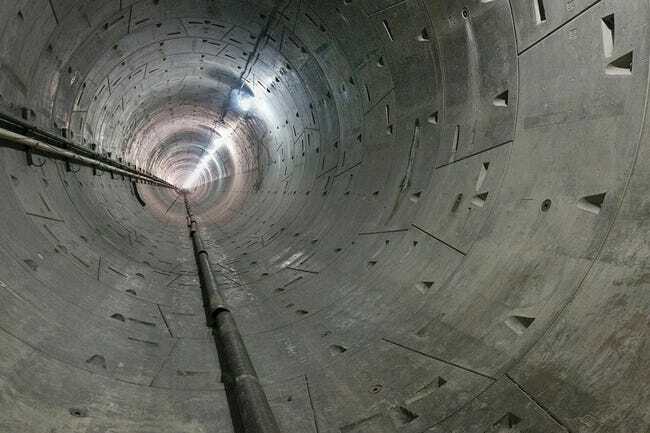 Regardless of the controversy surrounding the expensive project, these massive holes in the earth serve as a testament to the marvels of modern engineering. If all continues to go according to plan, the 7 line will extend to the 34th St.-Penn Station stop as soon as December 2013.